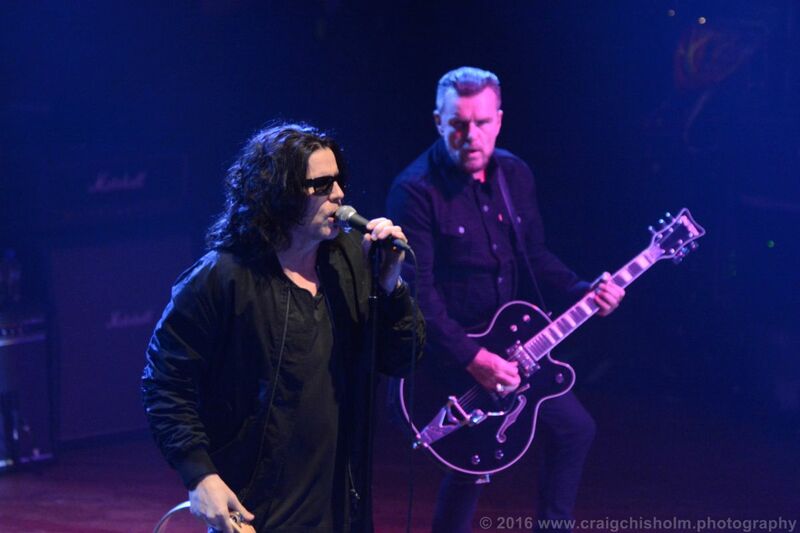 Thursday March 3 2016 saw the long awaited return of The Cult to an Aberdeen stage, this time at the Music Hall. 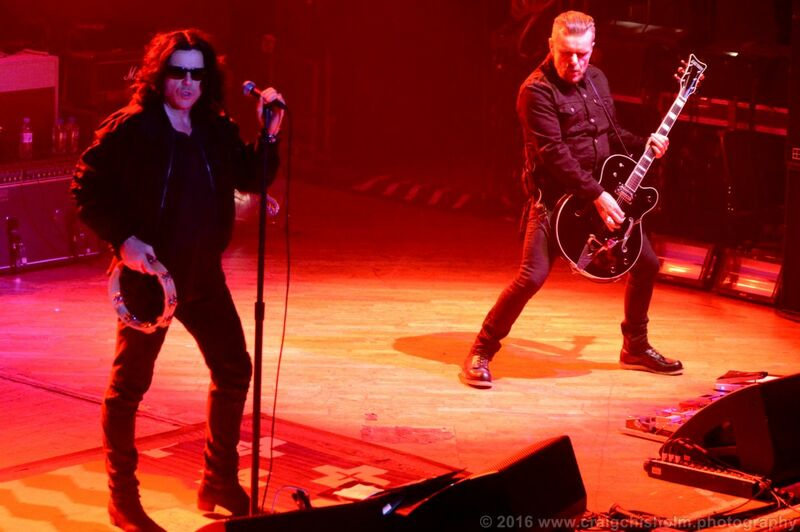 Review and photographs by Craig Chisholm. The title of The Cult’s recent album, Hidden City, seems quite appropriate as Aberdeen has been a city hidden from the band’s touring schedule for nearly 30 years. It’s actually been so long since they last played here that the halls they headlined in the mid ‘80s, both Ritzy’s and The Capitol Theatre, are now long gone as live venues – renamed and re-appropriated as clubs or, in the case of The Capitol, offices. However, the old haunts may be gone but the old crowd still remain with 1,500 of them packing out a sold out The Music Hall on a cold Thursday night to welcome back the band to the Granite City. Kicking off with the opening track from Hidden City, the jumpy swinging rhythm of Dark Energy, the five piece got the crowd instantly on their feet with a quick follow up of classic cuts Rain and Wild Flower. For the next 90 mins the set spanned across the years from tracks from the 1984 album Dreamtime (Horse Nation, Spiritwalker) to latest single G.O.A.T (aka Greatest of All Time). However, it was the tracks from the band’s biggest selling albums Love, Electric and Sonic Temple that got the biggest cheers – from Lil’ Devil to She Sells Sanctuary to Sweet Soul Sister and Fire Woman it was a reminder of how much great singles the band have released over the years. Tracks from the recent Hidden City – arguably the bands finest album in over two decades and a fine return to form – may not have been so well known to the crowd but all were received with rapturous applause. 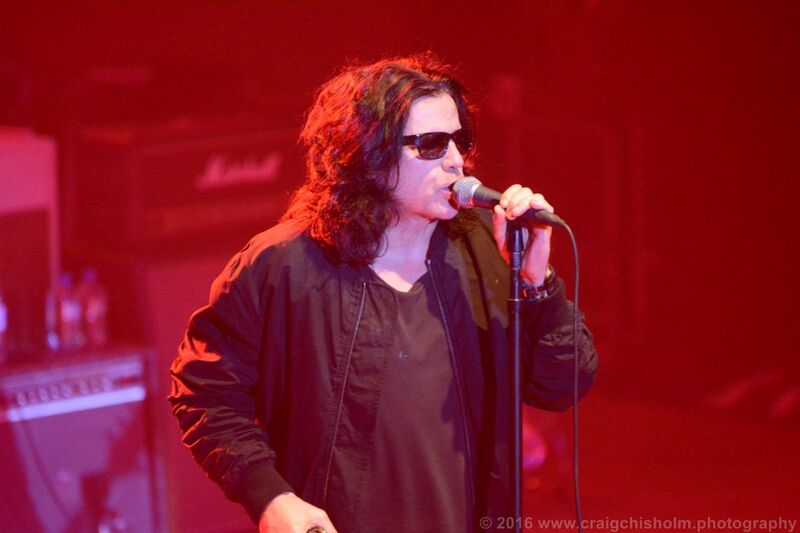 Frontman Ian Astbury, dressed all in black and hidden behind shades for the first new numbers, cut an engaging figure centre stage. Looking half of his 53 years he never let up from beginning to end, immersing himself in each song and looking every inch the rock god, part Jim Morrison, part shaman. 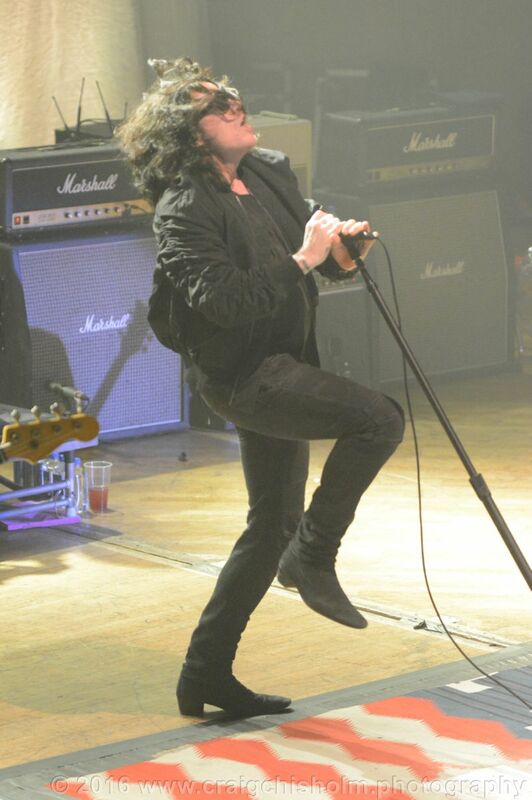 Between songs he engaged the crowd with his banter, his opinions and reminders of his Scottish heritage – even going as far as introducing final song Love Removal Machine as “Love Removal Macbeth”. 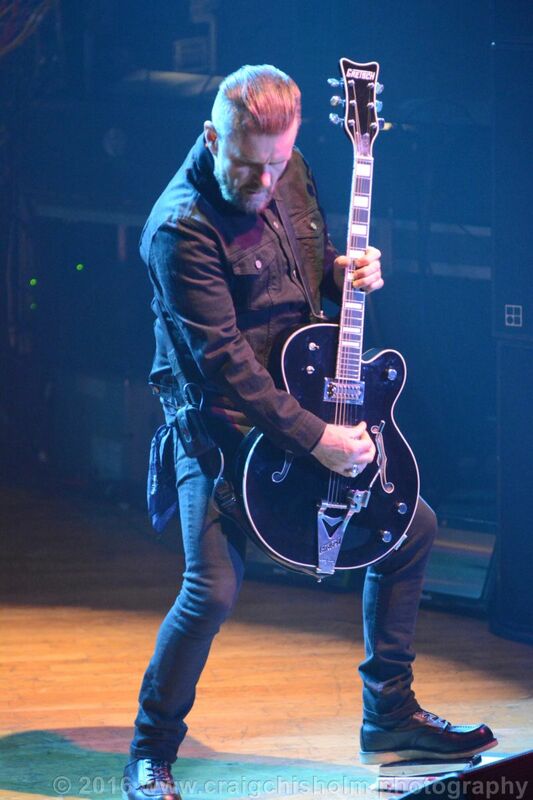 To his left, guitarist Billy Duffy cranked out the riffs behind his signature Gretsch guitars. Holding the guitar near vertical at times he created a sound that resonated through the Music Hall from front to rear and quite possibly rattled a few drinks on bars at the far end of Union Street such was his volume and power. Fellow Mancunians Johnny Marr and John Squire may get the plaudits for their work with The Smiths and Stone Roses respectively but Duffy is surely one of Manchester’s great guitarists with a body of work and personal history second to none. Both Duffy and Astbury thanked the crowd unreservedly at the end for selling out the venue and they must have been left wondering why they had not been this far North for the last three decades. One can only hope that they don’t leave it another thirty years before returning to Aberdeen. On this showing, if they did then you are left with no doubt they could still pull in the audience and give a similar energetic performance to the one seen tonight.